First there were ticket punchers, taking a ticket from each metro rider and punching a hole to mark the ticket as used. Serge Gainsbourg's song "Le Poinçonneur des Lilas" is about how depressing that job must have been. Now, the ticket taker has been replaced by a machine that marks a purple stamp on the ticket and marks the magnetic strip. But the machines shouldn't be too smug, because their days are numbered, too. In the next few years, Paris will phase out the metro tickets, which have been used in one form or another since the first metro line opened in 1900. The plan is to bring in a London-style system by 2021, whereby people either can use prepaid cards (which Paris has already -- the Navigo pass) or their own credit cards. No more paper tickets. That will probably not bother too many people; after all, it means those of us without Navigo passes don't have to stand on line, don't have to carry around enough tickets, and don't have to worry about the occasional ticket that doesn't get properly stamped (but it still won't work a 2nd time, because of the magnetic strip -- but you don't know that it's already used) and the occasional ticket that doesn't work even though it's valid because the magnetic strip has gotten corrupt. Even those with Navigo passes will have their services modernized, since the monthly pass can be used on a smart-phone and will get even more efficient. Pippa will mind the disappearance of the tickets though, because her massive ticket snake will cease to grow. Luckily, we've got hundreds saved for an "I've got nothing to do" summer moment. 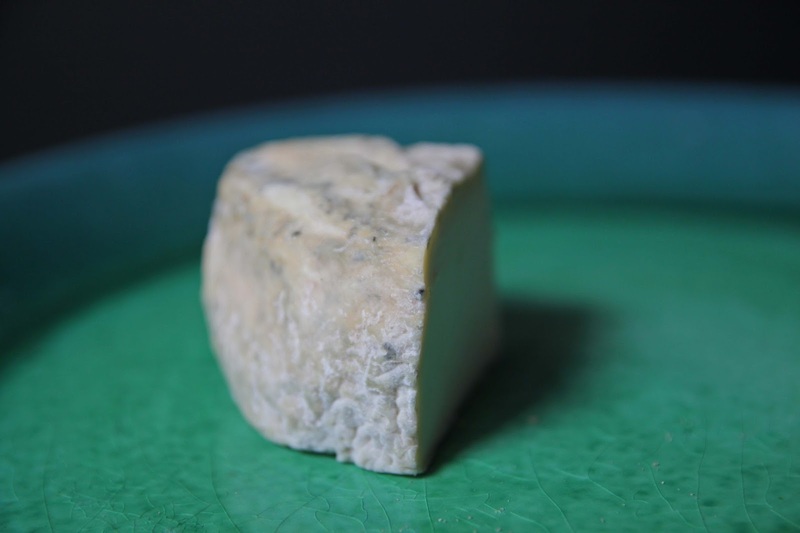 La Tour de Paul -- literally "Paul's Tower" -- is a newly created treat of a cheese from Paul Georgelet, the maker of Tricorne (de Marans) and excellent Chabichou, Mothais sur Feuille, Rond de Lusignan, and more. I realize I've eaten a lot of cheese made at this man's farm, and I'm not complaining. 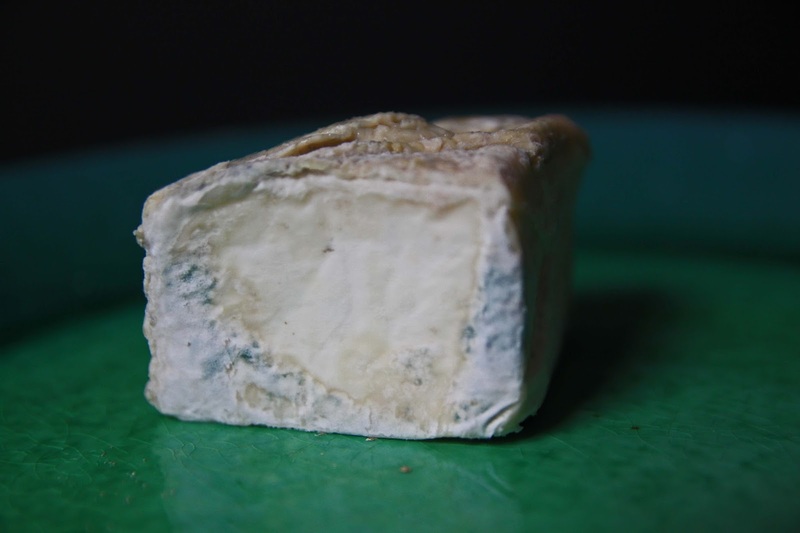 It's a raw, farmhouse goat cheese from Deux-Sevres, that bastion of heavenly goat cheeses, made by one of its finest cheesemakers and sold at some of the finest cheese shops (in this case, I buy it in Vannes, at the Fromagerie de Kérouzine). I buy La Tour de Paul, which means "Paul's Tower", already seeming nicely aged: just look at the deeply wrinkled crust with the multi-colored molds. But then I don't get around to eating it for almost a week, during which time it is not kept in a perfect, professional cheese cave but rather my refrigerator. I tell you this to show you the extra-bonus molds growing on it and to tell you that though I always advocate eating the molds the cheese comes with, I do indeed cut off the extra-bonus molds from my fridge. I simply scrape off the thinnest possible layer and have at it. The flavors develop in the aging, which is several weeks to a couple months. 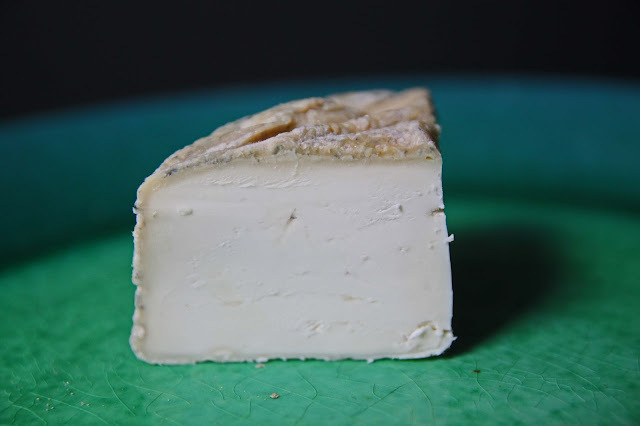 La Tour de Paul is a gorgeous, perfect specimen of a goat cheese -- creamy, salty, sweet, goaty, grassy, floral. You cannot go wrong with a drop of honey on it. You can't go wrong with it, period. 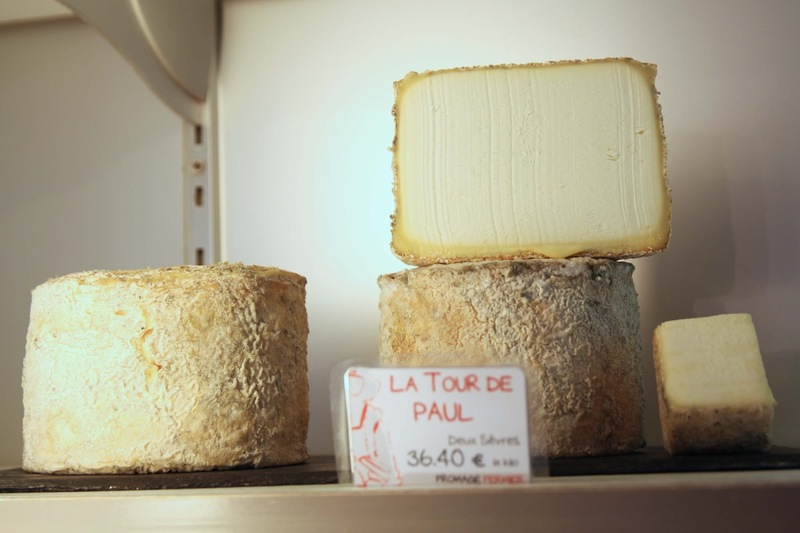 If this cheese were "Le Tour de Paul" instead of "La", it would mean "Paul's Tour", a tour Paul could take by metro, through the St. Paul metro station on roughly a 1.5€ paper ticket -- until the tickets become obsolete, that is.